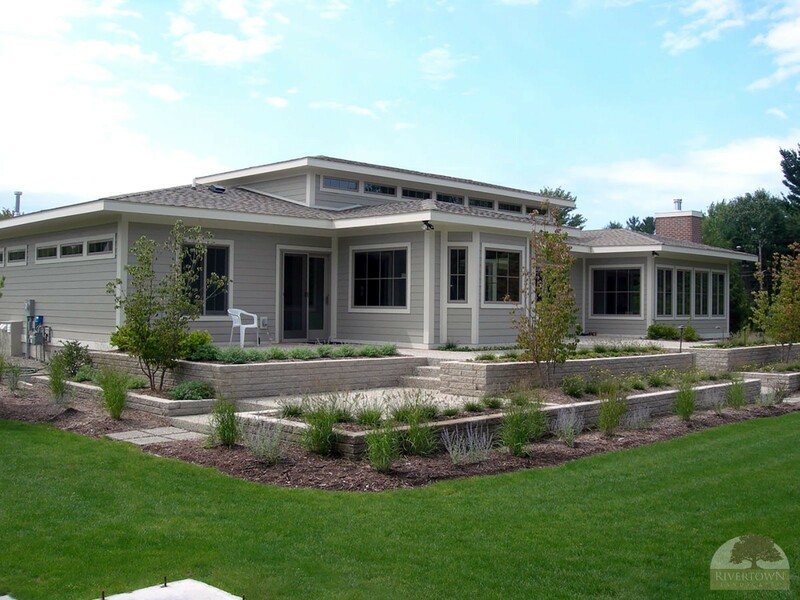 The owner of this prairie style contemporary home wished to have minimal impact on the native back drop of the site. 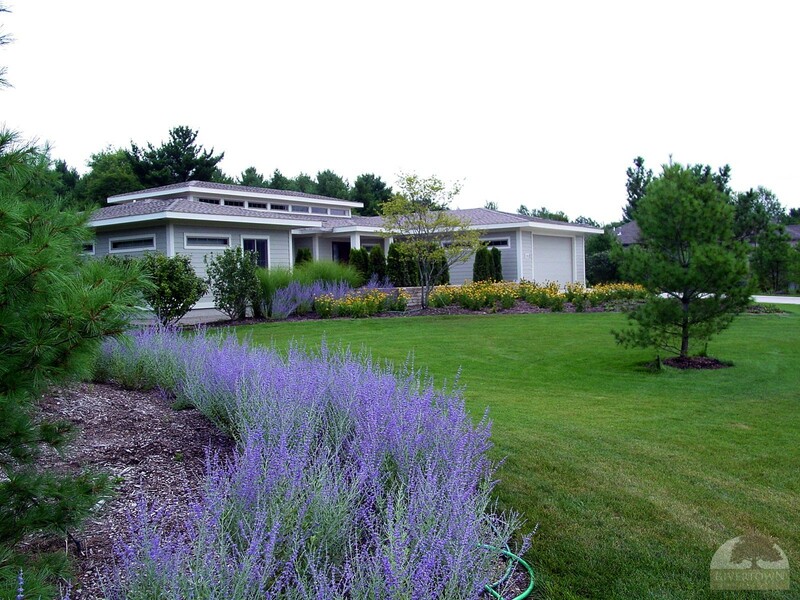 Solid bands of colorful native plants soften the clean horizontal lines of this simply elegant home. 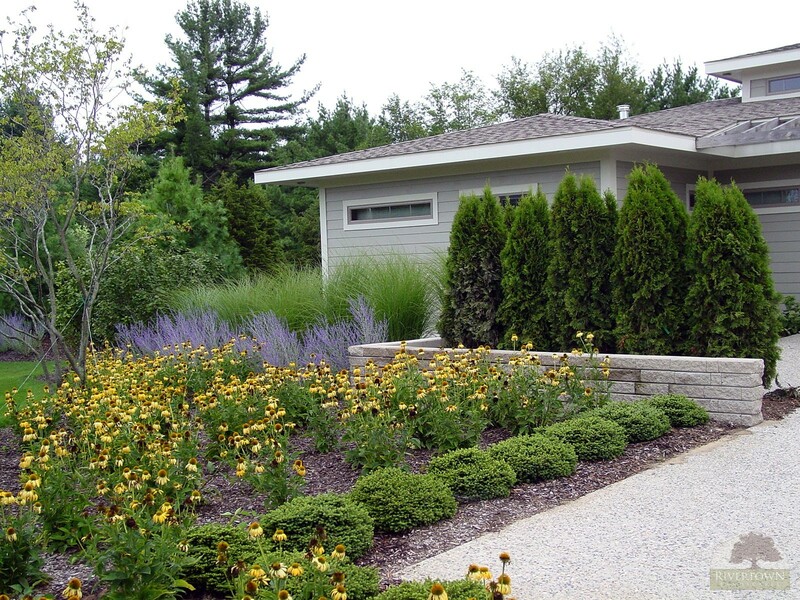 Block walls and stepped terracing of the patio creates an invitation to experience the expansive green spaces. 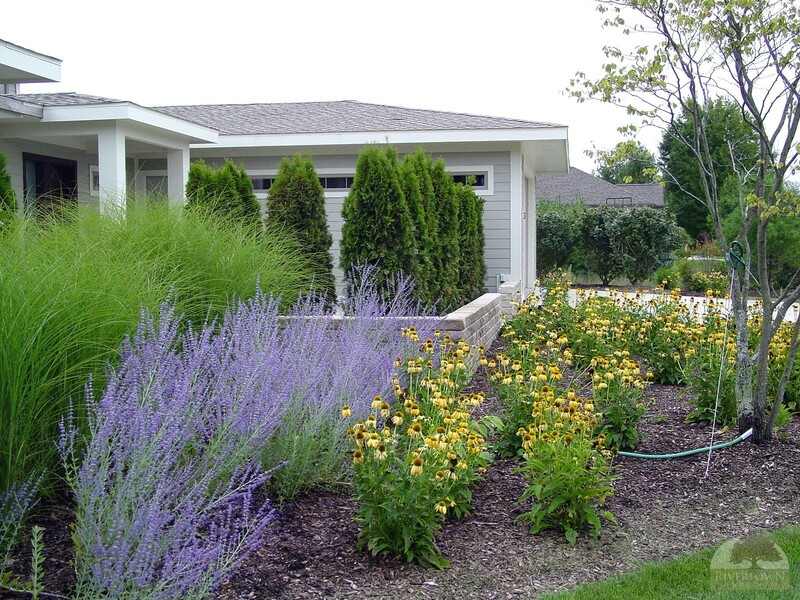 By adding upright evergreens, rooms are created for additional privacy from the surrounding neighborhood. 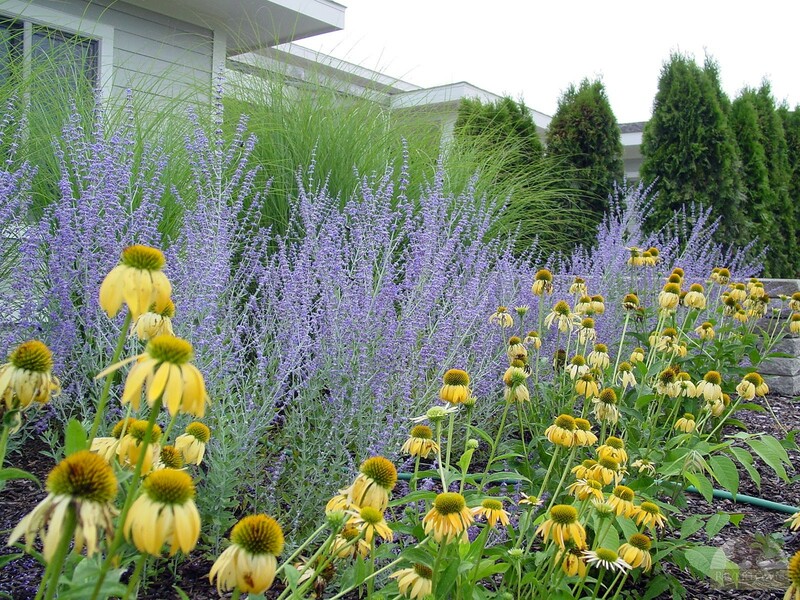 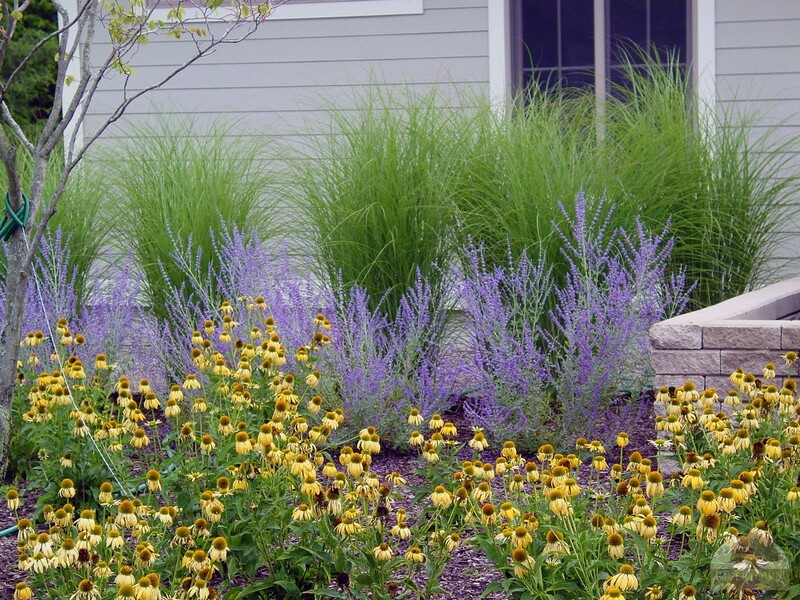 Plant selection focused on sustainable practices by selecting native plants accustomed to the climate requiring less maintenance and allowing for the use of low flow irrigation. 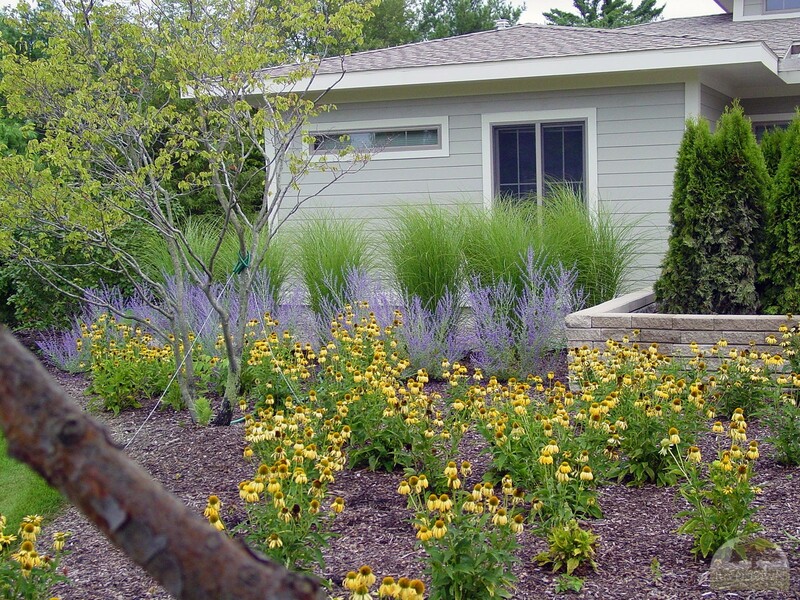 The effect is an architectural beauty framed by the native landscape with an eye catching view of a home that blends seamlessly with nature.